As temperature sets to single digits here in Australia, I can't help but feel a twinge of envy at the fact that my Northern Hemisphere buddies are all blogging about their summer TBRs. However, having said that, I'm pretty excited about tackling my winter TBR as there are several books on it that I've been meaning to read for ages. In fact, I deliberately chose the following 10 books as they have already been sitting on my TBR for quite awhile - some for perhaps too long. Hopefully, by the time this post goes live, I would have already started reading this. I still remember racing through the first two installments of this trilogy last year back-to-back and then waiting with anticipation for the third volume. Except by the time In the Afterlight was finally released and I eagerly grabbed a copy, it fell to the back of my TBR pile and now, I don't even remember what happened in the first two books. I had to go and read summaries online to jolt my memories. But yes, I'm hoping to finish this trilogy soon. The winner of last year's Man Booker Prize - I have heard nothing but praises for The Narrow Road to the Deep North. I'm a bit unsure as to how I would find this book as it will be somewhat different from what I usually read. But I'm keen on giving this book a go. 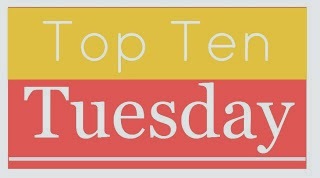 I think A Game of Thrones was on a TBR list I did last year for Top Ten Tuesday as well. Yet one year later, I still haven't read it. I have picked up once and read about 10 chapters but I had to put it down due to work commitments and then it sort of just fell to the wayside. But I'm hoping to finish this book this time around. Having read The Fault in Our Stars and thoroughly enjoying it, I figured it's time to give another John Green novel a try. I absolutely loved the Legend trilogy and I was so excited last year when I heard Marie Lu was releasing another series. I think the reason I've been putting off reading this one is because I didn't want to wait a whole year waiting for a sequel. But now that it's winter and I'm trying to clear up my TBR, I guess it's a good time to pick this book up. I picked up the first volume last year and all it's done so far is sit on my bookshelf. In short, I need to read this. I think before I went on my study sabbatical away from reading and blogging, Gone Girl was making waves through the online book community. I don't know too much about the premise (but sometimes I find that a good thing), but I'm keen to try this one out. I've heard nothing but praises for All the Lights We Cannot See. Well, duh, it's the winner of last year's Pulitzer Prize for fiction. So I'm interested in seeing what this one is all about. After the last YA trilogy (Delirium) I tried disappointed me, I want to try another YA series so on a whim, I've selected Graceling. One of my long forgotten reading goals for this year is to read 10 classics. So far, I've read only 3 so I need to catch up. For this month, I decide to select Jane Eyre as I had picked up a lovely hardcover copy of this book at a high school book fair last year and I still haven't cracked it open yet. So there you go, that's my TBR for the next three months. What books are you guys hoping to tackle? Nice! I enjoyed the Young Elites! Definitely a different kind of read! Hope you get to read all these this season! 3-7 and 10 are all fantastic and I hope you enjoy them. 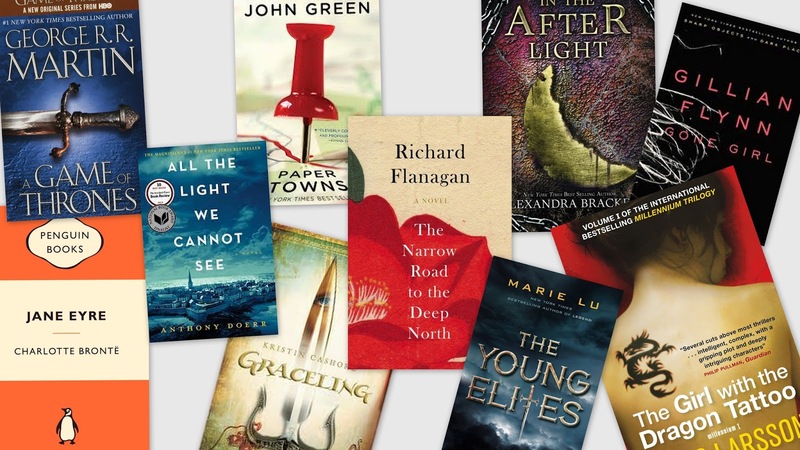 I definitely need to read All the Light We Cannot See and Graceling. :) Thanks for visiting my blog. New follower! I haven't read a single one of these! What an eclectic list! I hope you get to all of them! Nice list! A Game of Thrones is DEFINITELY worth it, even though it's so long. :) And I love Gone Girl, but personally, I thought her other books were even better! So if you like Gone Girl, pick up Dark Places next. I plan on reading Paper Towns this season! I can't wait for the movie to release-- it looks like it might be good, and like everything else John Green does- I'm sure it will make me cry. Happy reading! In The Afterlight was fantastic! I adore that series. :) Good luck! The Darkest Minds and The Young Elites are both amazing. Great list!